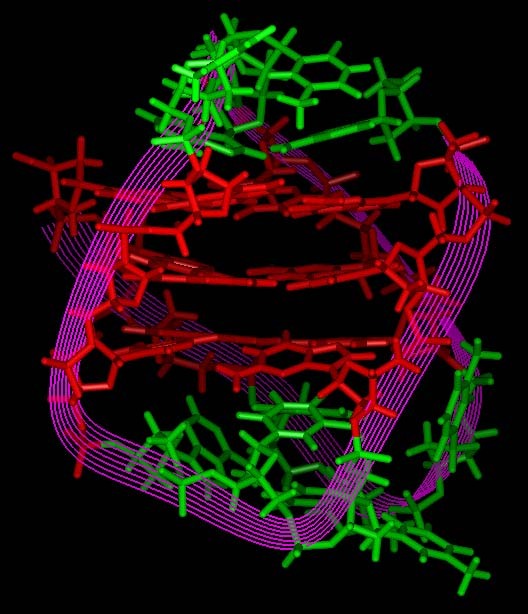 The telomere as the perfect qubit? THE TELOMERE = THE PERFECT QUBIT? This brings us to the last part of our crude analogue which requires that we are able to identify the telomere, in any form or measure, as the site of a target atom on which the working of our cellular cyclotron might be focussed. That living cells are capable of producing such resonance was the 'remarkable' finding that prompted this search for a model, and, as it turns out, at the end of our modelling we find we are again in 'remarkable' territory. and, as was commented at the time, 'Findings indicate that the telomeres of all five [vertebrate] groups are identical, even though the creatures have not shared a common ancestor for over 400 million years. Such conservation of a DNA sequence over the ages is remarkable.' (Moyzis, 1991). 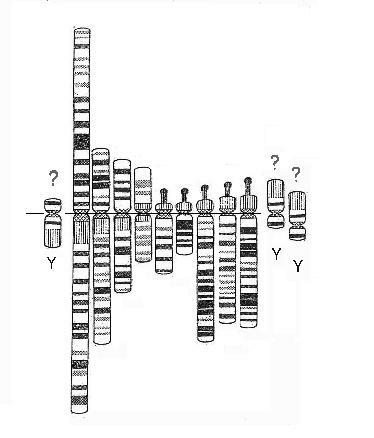 The finding was notable to the point of being 'remarkable' because not only did conservation of sequence imply a highly significant function, but, and more particularly, because it referred to the telomeric material which, then, was still considered part of the non-coding and, therefore, biologically insignificant 'junk DNA'. Very important 'junk'? The G-quadruplex structure arises from the four co-planar guanine bases self-organising in a Hoogsteen base-pairing motif to create a core that holds cations. 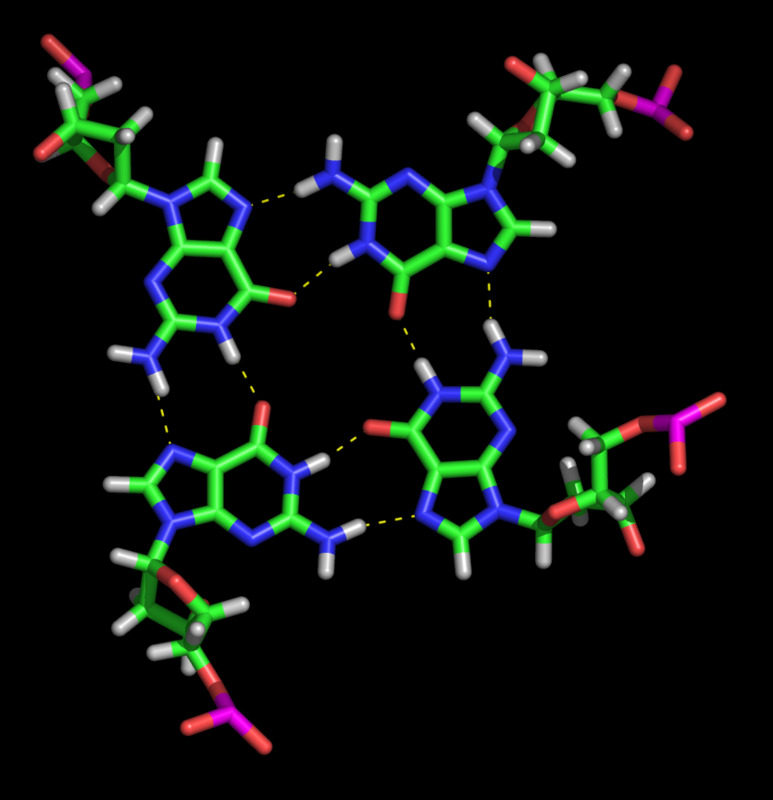 It is also worth noting that the Hoogsteen base-pairing bonds effectively create a double circuit in the plane of the bases around the trapped atom, just such a circuit providing means for the intramolecular processing of electrons and, therein, another form as the source of cyclotron-type behaviour. Schematic outlines are given below. left, end-on view, and above, right, CGI version]. Given that we are modelling on the grounds of quantum systems self organisation we need to ask how the system self-informs in order to process and respond to the atomic environment in which it finds itself embedded. We can see from this proposed trapping mechanism that atoms seem to find out about atoms in much the same way as science finds out about atoms - by isolation or preparation of a 'pure' sample followed by energetic analysis which, here, we are taking as making the atom subject to a highly energetic proton stream seemingly driven at X-ray frequencies. Seen from the perspective of quantum life science, however, where we hold a current to run in the sugar-phosphate spine of the DNA, this structure acquires more profound identity as a magnetic ion trap and magnetic ion trap technology is one of the main avenues of research with respect to identifying a candidate for 'qubit' functionality in the ongoing development of quantum computing. 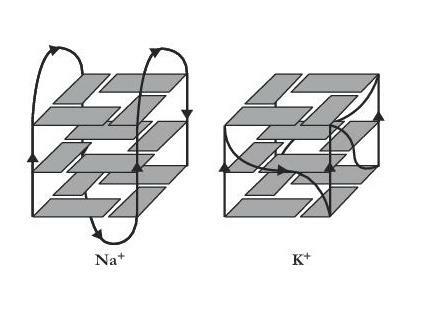 Indeed, the original paper reported finding ions - sodium and potassium in this instance - trapped within the structure, as illustrated above, their associated electron cloud being diffuse and smeared along the axis of the quadruplex - as, indeed, might be expected in an ion trap, yet only most recently has interest begun to move to address questions to do with possible biotechnological applications and the potential functional utility of such a structure in nanotechnological application or use in synthetic biology (see Quadruplex website for works by Neidle, Balasubramanian, Huppert and Webba da Silva, amongst others). So it seems that here we are required to understand how an X-ray frequency driven and magnetically trapped atom can be made to give characteristic quantum signature? The X-ray frequency DNA winding suggests that the electrons of the trapped atom are the primary focus for this working as these are the natural frequencies of the atomic electrons. When we model the trapped atom we can use a general geometry to define an idealised space for the atom to occupy within this trap, but also then quickly see how much richer a mapping and, therefore, understanding, the Julia version of things will give us. The isolated atom is here identified as 'Julia' in so far as the Julia sets of fractal geometry embody closed complex system trajectories and we can intuitively appreciate that the ideal of atomic isolation would accord with this. 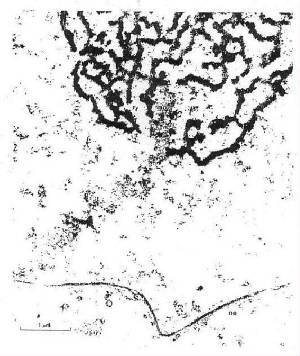 We must speculate at what initiates the breaking of state out of the 'idling' state of DNA - here taken as the closed, condensed molecule of the metaphase state - and the initiation of a current bias within the DNA, but can see that ultimately it will be to do with the disequilibrium set up between the ends of the driver chromosomes when the nucleolus emerges. Equally we can suspect that the current bias can then act to induce a counterflow as well as entraining and thereby driving an 'undirected' or stagnated flow. 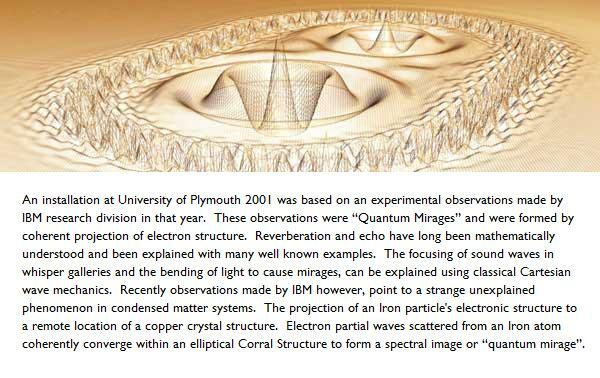 This latter might be the case for the stacked proton core of the B DNA? 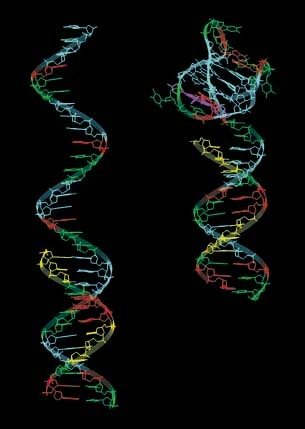 Telomere structure has obvious biological interest, especially given the currently understood biological importance of the telomere - as was recently acknowledged by the awarding of a Nobel prize - in such processes as cancer, gene regulation and ageing, and today over 100 groups worldwide are focussed on telomeres studies of one kind or another. 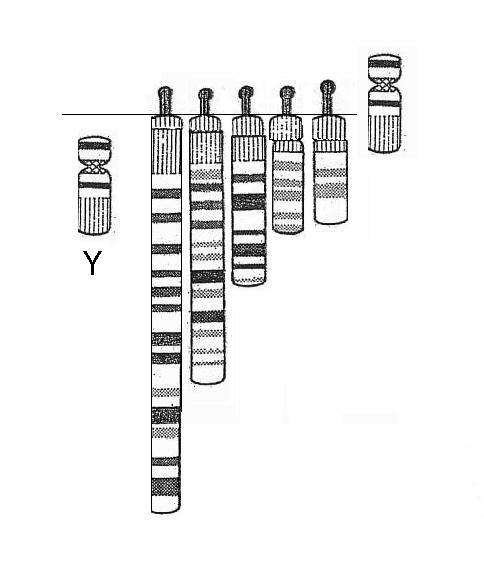 Following characterisation of the human telomere by Moyzis et al., (Moyzis, 1991) the research team went on to look at the geometry of the discovered sequence - TTAGGG - and the above structure was proposed by Kang et al., (1992) for the possible sequence geometry when working as an intermolecular structure, i.e., linking two (or more) DNA molecules. This we can identify as 'the working state' within the cell cycle. When not in linked arrangement, the telomere sequence (x4) was found to fold back on itself, again forming a self-closing or molecular G-Quadruplex structure. We can identify this form as that which would exist in the cell 'metaphase state' when the individual chromosomes are isolated and condensed in the maximally 'wound' condition characteristic of the 'metaphase plate' stage of the cell cycle. Research development in this regard, however, in work from Huppert and others (see Quadruplex website) has further established that the telomere base sequence, as putative G-Quadruplex structures, is in fact found distributed within the material of the chromosome arms, not just at the telomeres, and in such copy numbers that these sequences and structures demand our attention - 375,000 copies in fact - only 100,000 of which, approximately, are accounted for by the telomeres. Just averaging this number of copies over the genome of 3 x 109 base pairs suggests a frequency of ~104 or, we could say, ~102 ppm. We will return to address the functionalities of these three structures in more detail when we address the question of quantum computing in NET. In such an arrangement as the telomere presents, there is another model of quantum systems and resonance behaviours that we might draw on and that is realised by regarding the telomeres of the chromosome as 'stadium' ends to a very long - and lengthening - thin stadium (illustrated immediately below). Trapped at one end and with quantum feed to the DNA, we can see that those quanta, passaged to the other telomere, might act to induce the appearance of a twin atom ...? This sort of virtual particle generation is illustrated below. So perhaps is it this sort of phenomenon that, in the nucleolus, acts as the attractor for the incoming ions being sorted, subtly patterning the sub-nucleolar space so as to 'weight' the roulette wheel of incident centromeres for the atom to drop in? Of course in the arrangements that are being proposed here - recalling how these five 'driver' chromosome arms are strung across the nuclear lumen from the fixed nucleolus to the free telomeric end attached to the nuclear membrane - we have both energetic and mechanical standing wave resonances to consider and can surely appreciate how both will reinforce each other. Indeed, the 'material' arrangements of the DNA, can be seen as 'frozen' waves, just as atoms themselves are 'frozen' resonance objects. Another question we can ask about these arrangements has to do with what actually happens to the poor atom at the focus of our high frequency driven DNA core proton stream? Here, as with the driven atom, the dynamics of the Julia quaternion help illustrate what might be the order of play (my apologies for the type size limit of the illustration below). 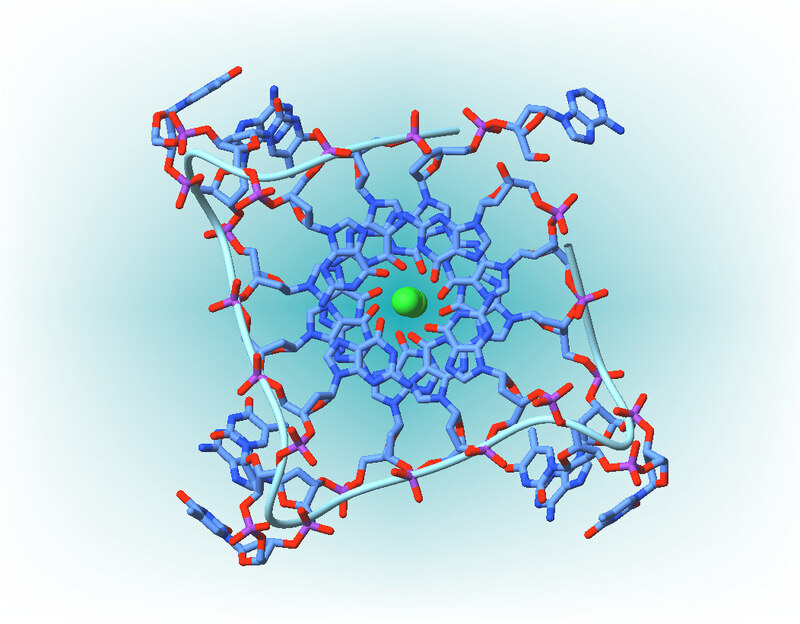 All these rather muscular behaviours induced in the complex system that is the atom naturally lead us to consider models where such G-quadruplex structures are regarded as both some sort of flexible ion trap and a pump or piston type arrangement. Proton 'pumping' of the trapped atom would cause it to deform, extend and relax, stretching the trap volume. This quantum pump or pulse type behaviour is further suggested by the arrangements found when the DNA set we earlier deconstructed is revisited from the point of view of identifying the function of a further five long stretches of highly iterated sequences that are found embedded within the set other than those associated with the 5 rRNA encoding driver arms. Simply by their number we have to expect some significant relation. These sequences are found on chromosomes 1, 9, 16, 19 and Y and we can make any number of possible constructions that seem to indicate a pump type process underlying the set and sub-set dynamics. In terms of biological understanding this construction surely offers a compelling means to realise how living systems are able to make coherent response to their ever-changing and effectively chaotic environment. 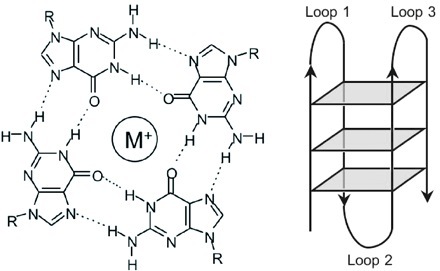 Here we have a magnetic ion trap and by means of frequency driving can run the atom through a variety of higher energy resonances when, at the height of those resonant states or, indeed, in the fall from them, quanta may escape the ion trap and pass into the DNA of the trap wall to phononically pattern the chromosome arm. As Biege (2010) informs, any trapped atom has a constant low level leak of quanta to the walls of the trap. Whilst this type of behaviour might perhaps then present background 'noise', we can appreciate that the quanta released by the proton flow driving the trapped atom will give far more powerful, ordered and coherent resonant signature within the material of the DNA arm. When we then model using the trap as the primary and the single arm as a first resonance limit we can see that the quanta acquired from the driven atom will generate a standing wave pattern within the arm and it is then reasonable to expect that sequences arising against the significant modes of this patterning will, therefore, themselves bear trace of the quantum energies of the trapped atom. Then too the transcript and the translate sequence that it templates, out in the cytoplasm of the cell, will naturally underpin the generation of a protein that has resonant relation with the energetic signature of the parent trapped atom. This idea is encouraged by the fact that the variety of forms the telomere may make has been suggested as 26 - which very neatly accords with our living systems atom count - of which 6, to date, have been demonstrated. As can be seen below the variety of telomeric forms is at present being mapped directly to the variety of atoms. Then too we can imagine a further means of achieving coherence and co-ordination of the cellular array in so far as running the trapped atom through a range of resonances will act to ergodically kick all con-specific atoms, mRNA transcripts and protein translates that carry quantum signature of the atomic energies that gave them rise, the range of resonant states effectively ensuring that all are ergodically 'informed' no matter what complexes or moieties they might further have formed in the dynamic arrangements of the cell. This brings an immense coherence to our understanding of the output complexity of DNA working in so far as we are then only having to deal with some 26 or fewer pathways, although of course their own interactive and co-operative dynamics will work to vastly increase that fundament. We can then place these activities within the frame of the cell cycle and can propose that the resonance pumping of the atom is part of the 'working' state and the real information download to pattern the DNA takes place when that material state changes in the transition to the metaphase plate stage of the cell cycle. 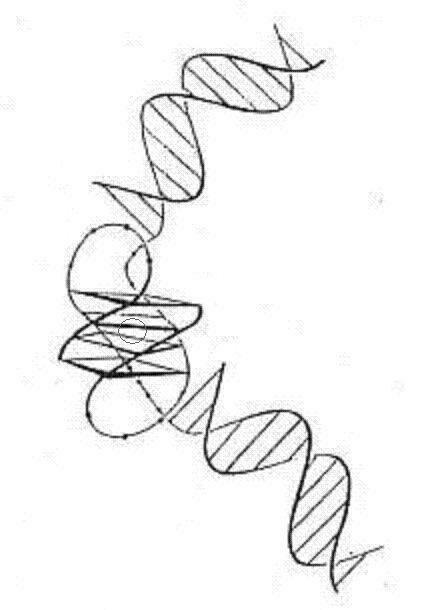 Here, when each chromosome is closed upon itself, i.e., is only self-informing, it is highly wound, helical coil on helical coil, as is characteristic of the metaphase chromosome, that this physical winding might then serve to exponentially increase the magnetic field permeating the DNA core. It is then perhaps that the X-ray energies that inform the working state can be accelerated to give Gamma-ray energies, these then being able to modulate the nucleon states of the trapped atom. It is perhaps the generation of such energies that then serves to break the metaphase plate state of the chromosome set whilst also having informationally loaded or patterned each chromosome arm with two levels of quantum signature, the electronic and the nuclear. Whilst the electronic signature might then be used during the following working state to maintain the co-ordination of the chromosome arm sub-set, the latter might then serve to keep the whole set informed during sub-set working. So in essence here we recognise that the quantum pumping of the trapped atom results in resonance behaviour best mapped using Julia Set 'states' or dynamics. This behaviour can then, by resonance, be transferred to the molecule as a whole as we move from the atomic dynamics, through sub-ranges we might expect to be marked by the intramolecular, 'putative', G4 traps, until the behaviour extends through the whole chromosome. Further transfer is only limited by the state of connectance that is achieved during the 'working' state at the telomeric 'nodes'.